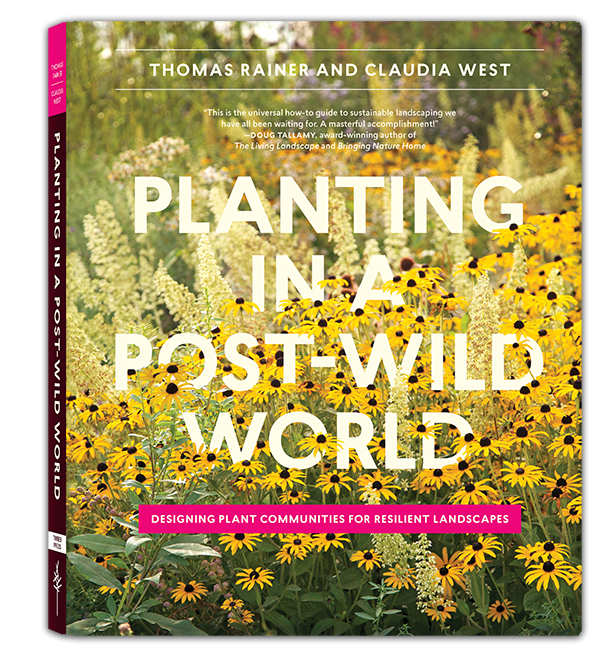 Planting in a Post-Wild World : A Review — Ringers Landscape Services, Inc.
On the cover of Planting in a Post-Wild Word by Thomas Rainer and Claudia West is this statement by Doug Tallamy: This is the universal how-to guide to sustainable landscaping we have all been waiting for. Now, I’m a huge fan of Doug Tallamy and his books, starting with the landmark Bringing Nature Home. Yet in 2016, when I first found this Planting book at a nature center in western Michigan, it all just seemed too good to be true. The enormity of the claims; both Tallamy’s claim, and the claim implied by the title — no book could be that much. Boy was I wrong. In 2017 my wife bought Planting in a Post Wild World and brought it home. It sat on our bookshelf. I read other books on sustainable landscaping. Then, last October, Thomas Rainer spoke at the Impact Conference at the Chicago Botanic Garden. 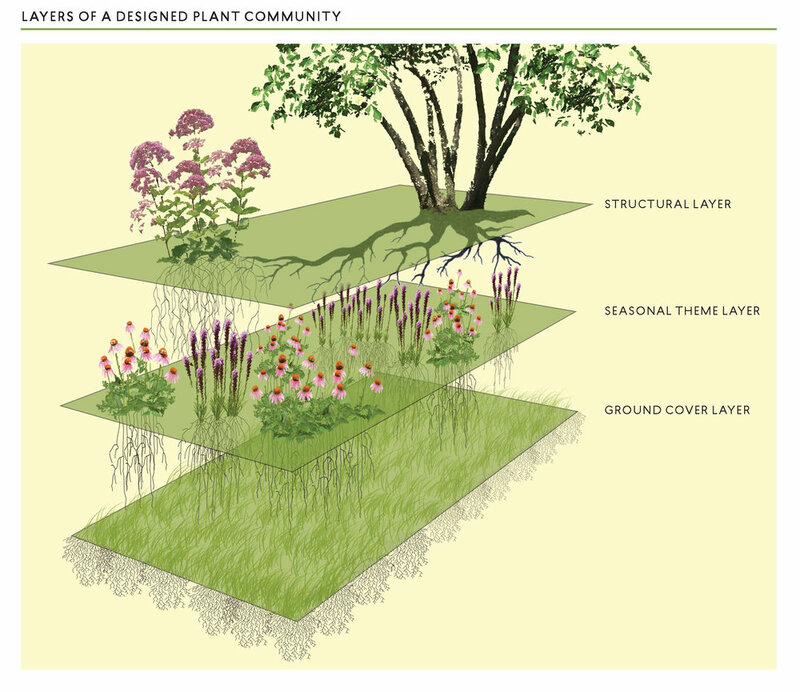 Early in the talk he presented what he called the “Holy Trinity” of sustainable landscape design: A planting design that 1) is beautiful, 2) provides maximum ecological services, and 3) is economical to maintain. And he showed us how to do it — step by step. It took awhile for the brilliance of his words to sink in. One key component of the model he presented is that everything you plant should have cool-season native groundcover plants underneath it; completely covering the ground. A living mulch. I kill weeds for a living. I see that gardens with these groundcovers have fewer weeds to kill. For years, Roy Diblik illuminated the benefits of sedges for me, but I never considered that sedges are just one example of a cool-season groundcover. Somehow, I never realized that the use of these groundcovers should be a design principle. I incessantly preach the evils of wood chip mulch, but my alternative involves frequent work. Unnecessary work. As this all sank in, I was astonished, and I sent praise and questions to Thomas Rainer. And still, somehow, their book sat on the shelf. A few weeks ago, Claudia West spoke at the Naturally Beautiful Conference sponsored by West Cook Wild Ones. I had the opportunity to meet Claudia, and with two colleagues we toured the gardens at the Shedd Aquarium. We talked plants as only four plant freaks can. I listened to her presentation. I got a better glimpse into their curiosity, their research, their thoughtfulness, their sharing of ideas with other plant people, and their respect for design pioneers. And the following week, I finally read their book.